Josh Kovach was probably still in diapers when this band was formed, but in 2010 this young, aspiring guitarist started hanging around. We couldn’t get rid of him even if we wanted to. It was our bass player’s idea to put him in the band….before we had even heard him play a note. It was exciting, until the first few shows. Then we kicked him out. Well, not really, but he had a lot to learn. That may have been the kick in the pants that created the unbelievable drive and focus he has shown over the last seven years. The guitar seems to have become a part of his anatomy these days. His playing has matured so much that the language he creates with his instrument has become second nature. 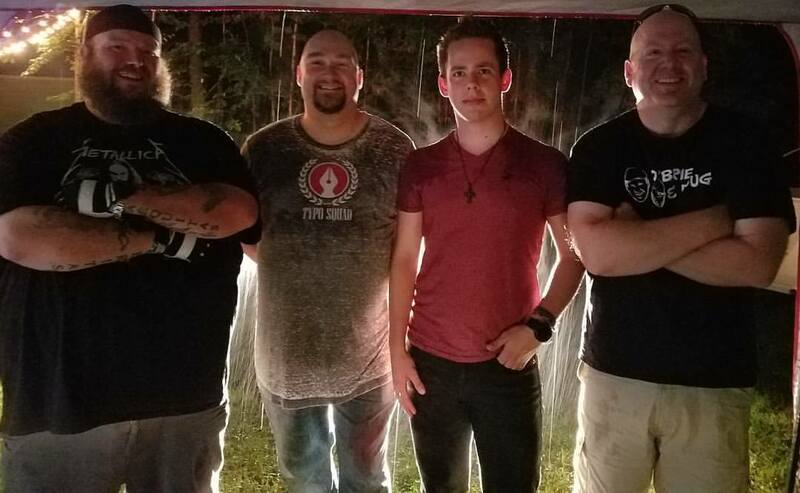 Through college and after, while holding a part-time job, he played in several bands in the Bangor area, performed in musical theater, taken guitar lessons, and still managed to fulfill his commitment to Common Crossing….his first band. Which brings us to the divergent paths we find ourselves at today. 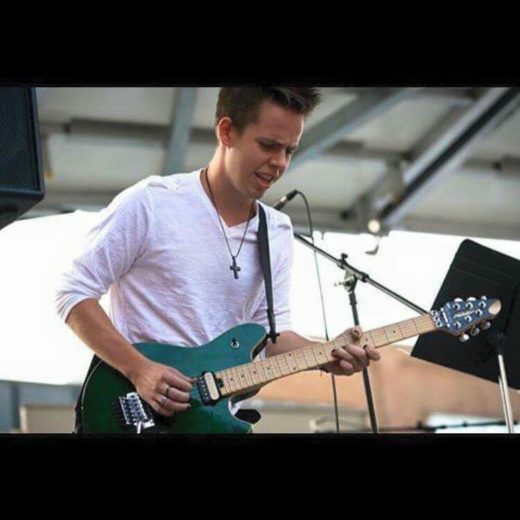 Josh has an opportunity to follow his dream of playing guitar in the music capital of the world, Nashville, Tennessee. The boys in the band are beyond happy for him and vow to cheer him on from every stage we play on. Although he will probably sit in with the band whenever he comes home, Josh’s last official show with the band will be the big party at Trafton Lake on September 9th. Please join us and Wally and the Virginian on September 9th and send our boy off in the manner he deserves. St.Matty’s Day 2017 Is Friday, March 17th! 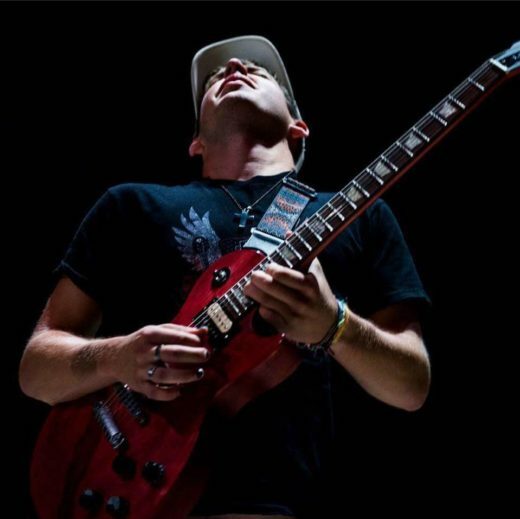 In November of 2012 we lost our good friend and band member Matt Turnbull in a tragic automobile accident. His family created a scholarship fund in his name and we’ve been helping to raise money for it every year since. Here’s what Lynn and Alan, Matt’s parents, had to say about this year’s event. 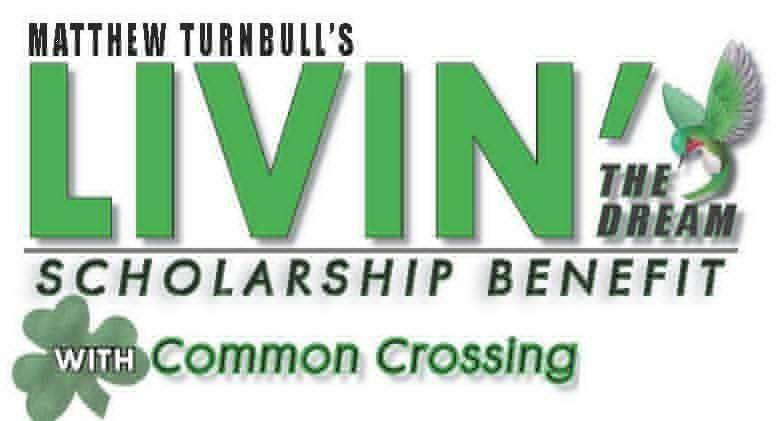 “It is our honor to join with Common Crossing in hosting the Matthew Turnbull’s “Livin’ the Dream” Scholarship Benefit on March 17th, 2017 6pm-midnight at the Caribou Inn & Convention Center.… Join us for an evening of Irish Music, Live & Silent Auction, Social and Dancing. 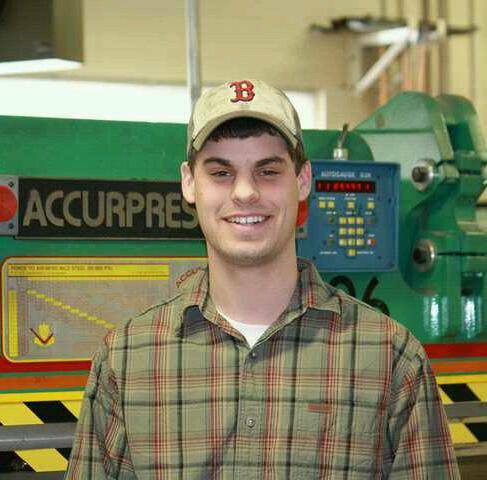 Our mission is to grow an established endowment to (2) $1500 self-sustaining scholarships to be awarded to two students studying trades at NMCC, Presque Isle, Maine. To date, six (6) County students have been awarded “Livin’ The Dream” scholarships, but our goal is to grow the annual scholarship awards into a full semester for two deserving students in our community who wish to study a trade at NMCC. Since becoming part of the NMCC Endowment Foundation, we have had the distinct privilege to meet and hear testimonies from local students and families who have benefited from these scholarships. The scholarship has helped us face difficult days by knowing that we are doing something that will continue to contribute to this community, as Matthew would have done himself. 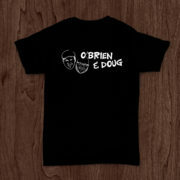 One way to help celebrate and raise money is to purchase a t-shirt. You can do so by clicking on the shop tab on the home page. 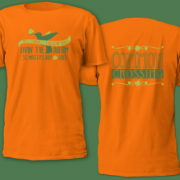 This year’s shirts are orange (from the flag of Ireland), and are $15 each. You can pre-order and hopefully wear the shirt to the event or wear a shirt from a previous year and buy a new one at the event. Either way, we hope to see you there to celebrate the life of our brother, Matthew Turnbull on Friday, March 17th at the Caribou Inn & Convention Center from 6pm-midnight. so their is no overlap. Kovach’s former project, Trendy Robots, recently disbanded. It wasn’t long before someone grabbed onto Kovach, who claims his new post will be somewhat temporary before his major plan comes to fruition. What’s that plan? You’ll just have to stay tuned. Congrats to Josh and to the members of Fire & Ice Band…welcome to the family. 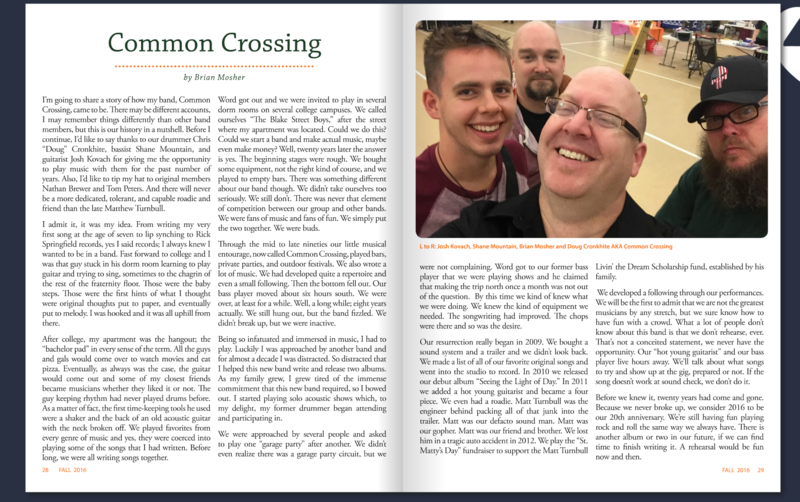 A great article about the band’s 20 year history in the Fall 2016 edition of Our Maine Street magazine. Follow the link by clicking here. Common Crossing has been laying low for a bit in 2016. We’ve only taken a few shows here and there for various reasons (mostly because two members live far away and travel can be rough after a while). We’re happy to announce that we’ll be back at Dean’s Motor Lodge in Portage for New Year’s Eve this year. There will be a small cover charge but it will include a guaranteed good time. We love playing Dean’s and we can’t wait to show you a few things we’ve been working on. Come and party with us and help us wrap up our 20th year together. It’ll be a blast for sure.